As a prominent circus director, tireless crisis manager, and author of numerous novels, stage plays and circus pantomimes, Paula Busch occupies an outstanding place in German circus history. After dropped-out university studies in literature, art history, and philosophy, she joined her father Paul in 1915, who had founded the Circus Busch and developed it into a world-famous company with permanent buildings in Hamburg, Vienna (sold in 1920), Berlin and Breslau. 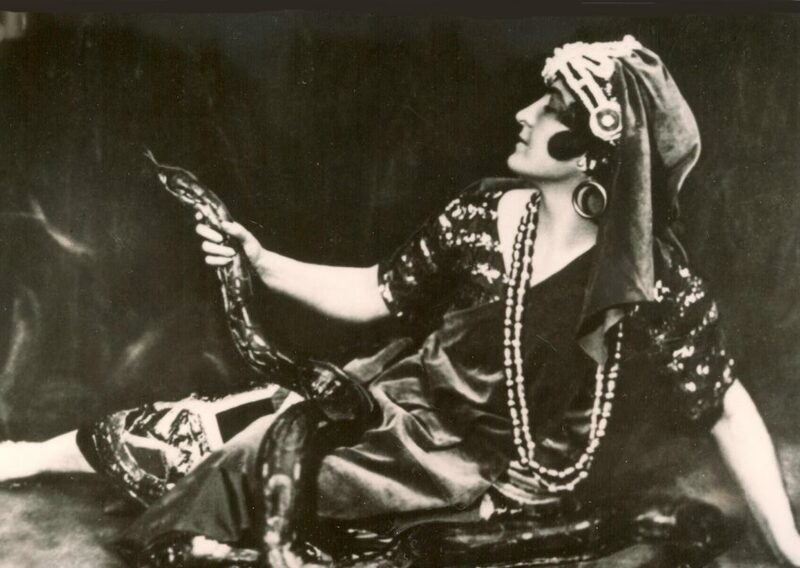 As “master of pantomimes”, Paula Busch created elaborate and effective circus ring plays, in which she often appeared herself. After the death of her father in 1927, Paula took over the family enterprise and led it with great skill through the times of the Great Depression. Her greatest challenges, however, were yet to come. Like most of the German circus directors, Paula Busch joined the NSDAP in 1933 in order to come to terms with the new rulers. In 1934, however, Hitler ordered the demolition of the Berlin Busch building in the course of the restructuring of the German capital. Under the official pretext of fire safety deficiencies, the competent authorities terminated the lease prematurely, regardless of Paula Busch’s protests. From December 1934, the circus building was empty; in July 1937, it was demolished. In order to compensate the loss of revenues in Berlin, Paula Busch invested 200.000 RM in the purchase of the travelling circus enterprise of the (half-)Jewish family Strassburger, which emigrated to Belgium due to continuing discrimination and the threat of an expropriation. The new tent circus Busch travelled mainly through Germany, but also gave guest performances abroad. During WWII, the tent circus travelled also through the occupied countries. 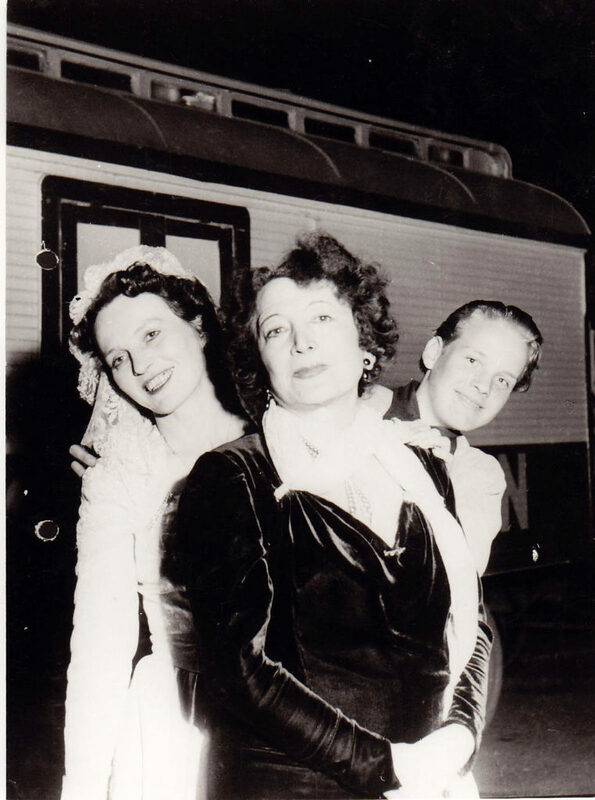 From November 1940, Paula Busch spent three months in Paris and took the lead over Cirque Medrano and Cirque d’Hiver. Her attempts to persuade Jérôme Medrano to “merge” with Busch failed, however. At the circus building in Hamburg, the summer season of 1940 had to be cancelled, since the German authorities converted it into a temporary POW camp. Eventually, the building was completely destroyed during an allied air raid on Hamburg at the end of July 1943. All Paula Busch had left was the circus building in Breslau, where she continued to play under increasingly difficult conditions. When the town became a “fortress” against the Red Army in January 1945, the circus ensemble fled westwards and witnessed the end of the war in the Lower Silesian spa town Warmbrunn. It was here that Paula Busch learned that her circus building in Breslau had burned down at the beginning of April 1945. The Soviet occupation of Warmbrunn went smoothly for the circus troupe, since the town commander engaged them for troop entertainment. In July 1945, the circus trek continued its flight and arrived in Berlin two months later. Paula Busch immediately set about rebuilding her circus enterprise, but in the beginning, she had to perform in the open air. After three years, she seemed to have attained full consolidation, but 1948 turned out to be a year of disasters. The former planetarium, which Paula Busch had repaired with great effort in order to use it as a permanent circus building, was unintentionally destroyed by British blasting operations at the neighbouring zoo bunker. A few months later, she had to give up her tent circus due to the Berlin Blockade. In 1952, at the age of 66, Paula Busch tried a further comeback. After initial success, she had to declare bankruptcy in 1961. Finally, she leased her famous name to the Circus Roland in Bremen, which changed its name to Busch-Roland. Federal Archives Berlin-Lichterfelde, R 43-II/637a, R 43-II/1181a, R 55/20483, R 4606/2815, R 9361-V/15666 und R 9361-V/140346; Busch, Paula: Das Spiel meines Lebens. Ein halbes Jahrhundert Zirkus. Stuttgart 1957; Medrano, Jérôme: Une vie de cirque. Paris 1983; Schaaff, Martin: Die Buschens. 100 Jahre Circus Busch. Bilder einer Circusdynastie. Berlin 1984; Winkler, Gisela: Circus Busch. Geschichte einer Manege in Berlin. Berlin 1998; Franzkowiak, Anne: Vom grünen Strand der Spree nach Pompeji. Manegeschaustücke und Sensationen bei Busch am Bahnhof Börse. In: Stiftung Stadtmuseum Berlin (ed. ): Zirkus in Berlin. Dormagen 2005, pp. 78-93.